LNBP Community Boating, formerly known as London Narrow Boat Project, is a registered charity and non-profit making voluntary organisation. The organisation was founded in 1981 by a group of teachers, youth workers and canal enthusiasts who recognised the benefit of introducing children and young people, particularly from the inner cities, to the enjoyment of canals and inland waterways. LNBP provides canal boat holidays and day trips to help educate and engage a wide variety of people from all walks of life. This ethos still continues to be at the forefront of the organisation’s aims and operations today. We welcome groups of all ages and backgrounds to enjoy the experience of canal boating with us aboard either of our two purpose-built canal boats, Lancelot and Guinevere. Each year LNBP Community Boating provides the opportunity for a wide variety of user groups from all over the UK and overseas to enjoy inexpensive canal boating holidays and trips in central England. These groups include schools, colleges, youth groups, clubs, uniformed organisations and associations, groups working with the disabled, the partially sighted and those with special needs, and organisations working with the disadvantaged and unemployed. Our two canal boats are based at the historic junction of the Grand Union and the Oxford Canal at Braunston, a pretty historic village on the borders of Northamptonshire and Warwickshire, located five miles from Daventry in Northamptonshire and eight miles from Rugby in Warwickshire. LNBP skippers are all volunteers with vast experience of working with groups of various ages. Each skipper also holds the Certificate in Community Boat Management, have had additional training regarding the boats and the policies that the LNBP operates under, and have DBS enhanced clearance. 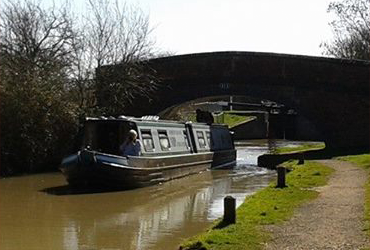 LNBP Community Boating is able to help many people and groups that may be interested in a canal boating holiday experience but may not necessarily be in a position to afford it. This is through a Bursary Fund which is financed by membership to the organisation and through the kind generosity of many donors. With decades of canal boating experience, we know there is so much for your group to see, do and enjoy on a canal boating holiday with us. We also know the experiences you can expect to enjoy on our boats will enthuse, inspire and last a lifetime. To coincide with our 25th Anniversary, LNBP Community Boating was awarded The Queen’s Award for Voluntary Service (The MBE for volunteer groups) in 2006.